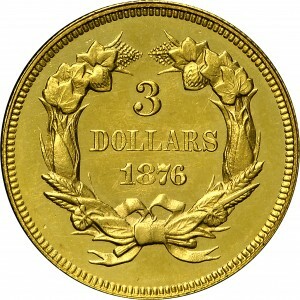 This issue was only struck in Proof format, with a total mintage of just 45 coins. 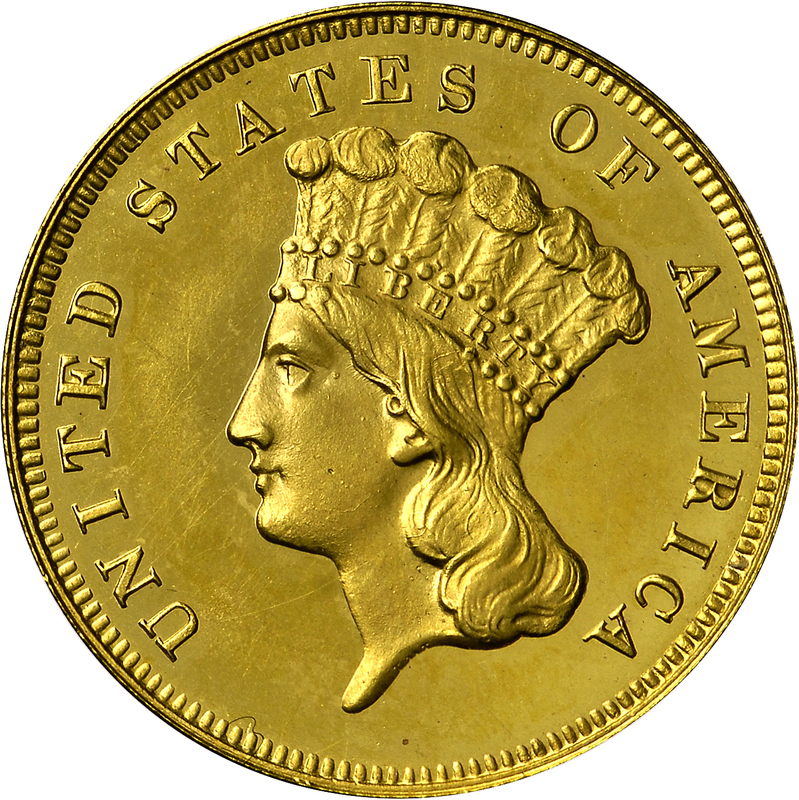 As such, the centennial three-dollar gold coin is among the rarest of all United States gold issues. 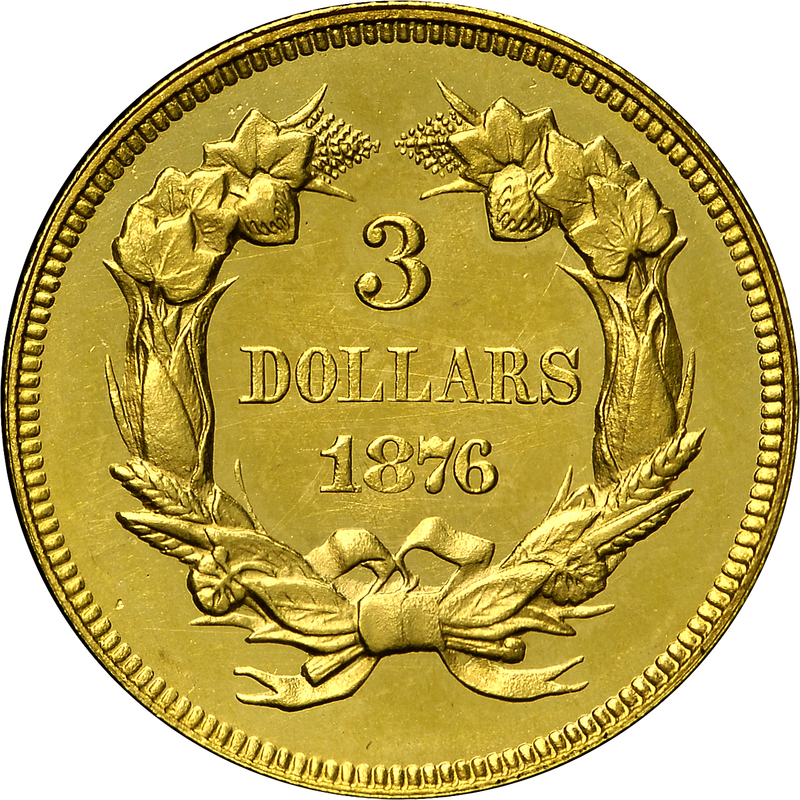 Relative to other proof issues of this era, the mintage and survival rate are higher than usual, with about 25 examples in existence today. Two distinct issues occurred, with 20 examples struck February 19 and an additional 25 minted on June 13. This example is considered an early strike, without visible die rust in the headdress. From Stack's sale of the DiBello Collection, May 1970, Lot 776. 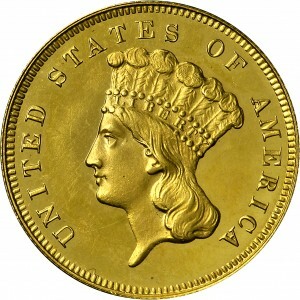 (adapted): "Obverse: No rust lumps between LI, or throughout feathers above beads. Reverse: 6 centered under right foot of A. Left bow loop opening 50% mirrored. This die pair rarely seen. Discovery, existence of two die pairs. Smaller diameter than restrike."